It’s time to make an impact. Let’s launch your idea together. Merodos is a full-service digital marketing and advertising agency based in Texas. We specialize in creating and expanding your online presence using search engine optimization (SEO), pay-per-click (PPC) advertising and social media marketing. Our approach to search engine marketing (SEM) is simple; we base our strategies on results-driven data. Each custom strategy we develop is not only tracked and monitored but also backed by data. What makes us different? It’s in our name. Merodos comes from two Greek words: Meraki, which means to do something with soul, creativity or love, and Próodos, meaning progress or growth. We believe the only way to grow is to find something you love to do and do it with passion. Why Greek you ask? We want to leave an everlasting impact like the Ancient Greeks left on mathematics, philosophy, democracy, art and so many other facets of modern-day society. 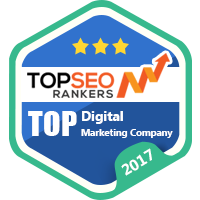 Search engine optimization, or SEO, is the process of increasing organic traffic to your website and ranking in search engines. It takes into account everything from keywords on a page to more technical things like how a search engine crawls your website. Online advertising strategies are a critical part of digital campaigns. Need help adjusting your AdWords bids or launching your products in Google Shopping? Our Google Certified team can help you meet your goals. Having an aesthetically pleasing and user-friendly website design is essential for your conversion funnel. If your customers have issues navigating your site, how will complete your contact form or purchase a product? Social media management and campaign implementation can help you control your online presence. Let us help you improve your following, increase engagement with the community and increase traffic to your website. Target your customers with personalized emails and newsletters. Customizing, launching and tracking your email marketing campaigns is just a part of what we do. Let our team help you build a loyal subscriber list and time your emails for the optimal conversion frequency. Give your customers more than just an ecommerce or service website — give them a resource. Providing relevant, specific and keyword-researched content not helps with SEO, it also captivates your audience and keeps them coming back. Your brand’s perception can make or break your business. We’ll help you build positive campaigns, increase online reviews and direct the voice of your company with proven and effective strategies.